With a background as an attorney working in the music industry, it’s no surprise that Berklee student Shai Littlejohn quickly found herself working at the intersection of law, policy and music as an intern for the Future of Music Coalition. Based in Washington DC, the national nonprofit advocates for the fair compensation of artists, open access to audiences and also leads discussion and lobbying efforts for musicians working in the digital age. As part of her internship, Shai is charged with helping coordinate and plan this year’s Future of Music Policy Summit, an important gathering of musicians, arts advocates, policymakers, technologists, media representatives and industry figures to discuss how policy, law and technology are influencing the music industry. Each Thursday through October 21, Shai will share her experiences as an intern with the FMC and recap some of the important highlights and issues as they emerge during her three days at the summit. Be sure to post your own thoughts on how the music industry is adapting (or not) to new trends and technologies. 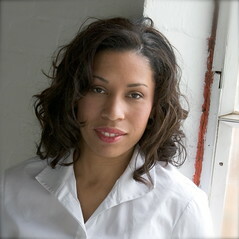 Shai Littlejohn is an attorney in the music industry, singer-songwriter and Professional Music major at Berklee. She is currently interning with the Future of Music Coaliton, an artist’s rights lobby and advocacy group in Washington DC. Though late November, Shai will work as an integral member of the coalition team in developing, organizing and promoting both the Future of Music Policy Summit as well as the Dear New Orleans Benefit Rock Show. Follow Shai on Twitter for continuing tips and updates on music law and policy at https://twitter.com/ShaiMusic. I still think a big fat record deal is the best bet to be able to do your own art the best. But these days one needs to do everything themselves. No problem. Just a little less time to do art. Cool. Can do with the internet. Except for the legal part. That is so huge a jungle that if you didn’t study law, you’re lost. Legal issues can be problematic – you’re exactly right, we as musicians need to do everything ourselves, but legal matters are not one of them. Sometimes attorneys fees are cost prohibitive for artists. It’s a cost-benefit analysis. Do you need an attorney to draft a contract every time you play a small gig? No, especially if you only stand to lose a small piece of change. But when negotiating any major agreement (particularly one with a record label, publisher, tour promoter, or distributor), it is crucial to have an attorney look over any documents before you sign them. The devil is in the details, and if you don’t know what details to look for, then it could cost you greatly in the long run. My most basic piece of advice. Read EVERYTHING in plain English. And slowly. Think about what the document says. Don’t just gloss over it because you assume you won’t understand it. And remember, you can always propose different language when something is unclear. Oh and by the way, contracts are made to be talked about and negotiated. Just like salaries for a job. The other side hopes that you’ll just sign and take what they give you. But all sophisticated businesses are accustomed to negotiation. If they refuse to negotiate, then it might raise a red flag. Always think about what you need from the opportunity/deal, and make sure that it is in the doc.